Vertical Development, Inc. and GCommerce Inc. are launching a new product collaboration called “ShowMeTheParts B2B GCommerce Edition.” The new business-to-business e-commerce tool integrates GCommerce’s Virtual Inventory Cloud (VIC) system into websites powered by our ShowMeTheParts (SMTP), adding drop-shipping and special ordering capabilities. 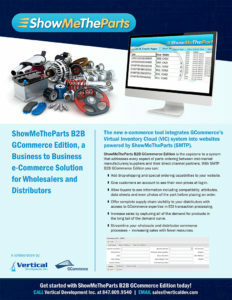 Download the PDF and read more about the exciting new B2B e-commerce solution from Vertical Development, Inc. and GCommerce Inc.
ShowMeTheParts B2B GCommerce Edition is the capstone to a system that addresses every aspect of parts ordering between mid-market manufacturer/suppliers and their direct channel partners. With SMTP you can give your customers an account to see their own prices at log in. Since it leverages the SMTP database, buyers can see information including compatibility, attributes, data sheets and even photos of the part before placing an order. When SOMS Technologies wanted to create an online catalog for its line of microGreen Extended Performance Filters, its team turned to Vertical Development for help. Using the API from our ShowMeTheParts (SMTP) database, together we created a searchable catalog that integrates seamlessly into microGreenFilter.com. microGreen filters are designed to help fleet managers and consumers reduce maintenance costs by providing higher filtration performance in a package that’s a drop-in replacement for conventional filters. This extends oil life, decreasing oil change intervals for material and labor costs over an engine’s life. microGreen filters are designed for a wide range of equipment from small engines to larger gas and diesel engines. To help make the transition from conventional to microGreen filters as simple as possible, SOMS Technologies worked with us to develop a catalog based around the ShowMeTheParts database. This catalog allows customers to find compatible microGreen filters using either vehicle information or parts numbers. Using our APIs, SOMS Technologies was able to seamlessly integrate the catalog into their own website, giving customers access to parts information from computers and mobile devices. ShowMeTheParts.com started out as a stock 2006 Ford Mustang. Over the past ten years, we’ve made many improvements. One year, we swapped out that V6 for the V8 and added a hood scoop. Another year we threw on 19” rims and gave her a nice paint job. These improvements attracted more and more customers over the years; growing our client list and our database. However, expansion and innovation hasn’t come without a few growing pains. Through the years, we’ve dealt with browser incompatibilities, database downtime, changing Apple and Android requirements — you name it, we’ve seen it. No matter the problem, we always worked hard to tackle them head on and remedy them as fast as possible. More importantly, we’ve learned from each problem we’ve faced. It’s the knowledge of our past that drove us to our greatest upgrades to date. The upgrades began with a new server infrastructure that is faster, more reliable, and easily scalable to keep up with demand. The new system has real-time monitoring; it tells us immediately if a server goes off-line so we can work on getting it back up and running as soon as possible. In an effort to be more transparent and accountable for our service reliability, we plan on releasing monthly uptime reports in the near future. On the software side, we’ve upgraded our applications to use the latest web technology and allow for centralized roll outs. With new versions of browsers coming out almost daily, our team is constantly testing our software to make sure it works perfectly on all major platforms and browsers. By switching to a centralized release system, we can push changes to our customers immediately, so everyone using our products will always have the latest features. That means reliable results across the more than one million application lookups per month — no matter how end users are accessing the database. To put it in car language, most novices are only concerned about making the engine fast. But if they don’t put the same time and money into the brakes, steering and suspension, they will have a car that is fast but unstable. Just like with the Internet, fast but unstable is likely to cause a crash. Our recent upgrades give you both speed and stability. The added performance gives us room to grow, and we’re still able to roll out new product information in a matter of days ensuring that the information you and your customers use is always up-to-date. 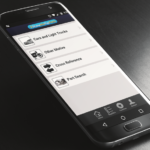 Simply put, ShowMeTheParts works even better now and will continue to work as we further expand our software’s capabilities. Get the fastest, most reliable database in the aftermarket industry, contact Vertical Development today. Call us at (847) 609-9540 or email sales@verticaldev.com. Whether your company manufactures parts, distributes them, or sells them to retail and fleet customers, at some point you’ll have to deal with mapping. Today, 70% of the parts sold in the aftermarket are mapped to e-Catalog systems. Despite the “e-” in the name, these catalog systems are the backbone of print, online and CD-based catalogs used throughout the industry. It turns raw data into a standard, portable form. For retailers, it means they can request a specific format from their suppliers and transfer that information directly into their own catalog. For suppliers, it means they can update their mapped catalog and send it out to their buyers without having to make alterations for each use. With fewer steps between the manufacturer and the customer, that means fewer errors and faster turnaround. Let’s use the Auto Care Association Product Information Exchange Standard (PIES) and the Automotive Catalog Exchange Standard (ACES) as an example. 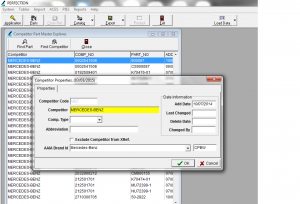 These two standards are commonly used in catalog mapping with PIES handling part attributes and ACES handling vehicle attributes. With PIES, a part can be labeled with standard identifiers including the manufacturer, product attributes, part interchanges, dimensions and digital information including photos. ACES contains vehicle information including makes, models and equipment, as well as identifiers in the VIN number to determine a vehicle’s equipment. Put them together, and you can search for a specific vehicle, match it to compatible parts, and then compare those parts by their design attributes. This lets customers do an apples-to-apples comparison of parts across lines and manufacturers to make sure they’re buying exactly what they need. 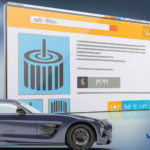 On the business side, only the necessary attributes need to be added and transmitted: information like pricing isn’t required, and once a complete catalog has been created, smaller catalogs can then be generated to cover retailer’s specific needs depending on the parts lines and types of vehicles they deal with. 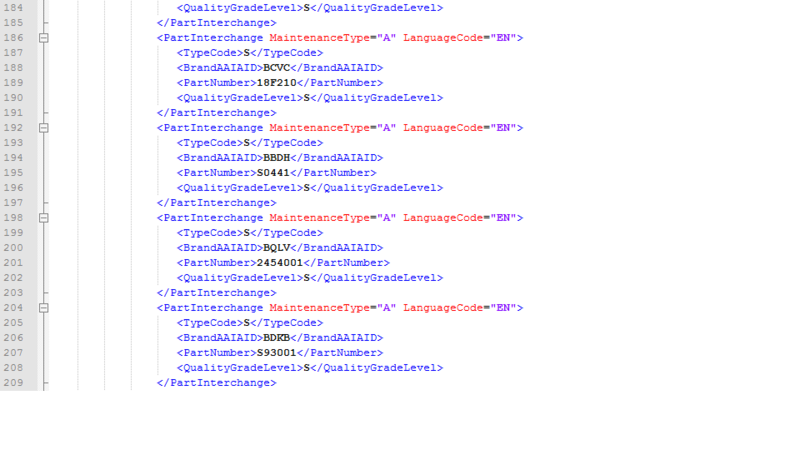 How do you turn your parts data into these standard formats? That’s where Vertical Development comes in. We don’t just design mapping software; we’ve worked with industry partners to help develop mapping standards. Our tools can turn your paper catalog data into e-Catalog data following a number of standards including ACES, PIES, and NAPA PartsPro, for delivery to Epicor, NAPA, ShowMeTheParts,WHi and other trading partners. If you still need raw information, pages can be saved in PDF format so they can be read on any computer. 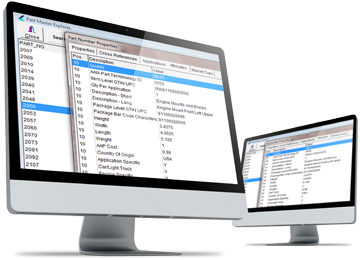 If you can use office software, you can use Vertical Development’s catalog software. Our vCat system uses a simple, intuitive interface with no need to know XML or Microsoft Access, and it can run on a single server or computer. Don’t have the resources to create your own catalog? We have Do It For Me (DIFM) services to help you prepare your catalogs. Later on, if you choose to bring cataloging in house, we can help you make the switch, using the same tools used in-house for an easy transition. Vertical Development’s tools are built in modules that work together, so once you create a catalog in one format, it can easily be ported to another. Want to move to online catalogs? Add your information to our extensive ShowMeTheParts database, or use SMTP as the base for your own website. Managing inventory? Our Vehicles in Operation (VIO) module shows you what vehicles are on the road down to the county level and cross-references them with compatible parts to make sure you’ll always stock the parts your customers will need. Best of all, you only need to buy the modules that you need, and additional modules can be added down the line. That means your catalog can always be expanded or ported to different formats later on as the needs of your business change. If you are interested in creating a catalog that meets industry standards, but you don’t have the staff or expertise to do it in-house, then we should talk! Vertical Development offers a Do It For Me (DIFM) service to organize your parts data so that it can easily be published and sent to resellers or used directly by consumers. For AVM Industries, Vertical Development’s services helped the company reach new customers by creating, hosting and updating a PIES and ACES compliant catalog. AVM Industries is the industry leader in gas springs, and its vacuum actuators, dampers and associated hardware are used in a wide range of automobiles and industrial equipment. Chances are, if you own a GM, Honda, or Toyota, the springs supporting the hood were manufactured by AVM. Despite having such a long reach in this niche segment of automotive manufacturing, initially, AVM didn’t have the staff to support a separate catalog department. When the company went looking for a partner to help manage its parts database, Vertical Development came highly recommended by customers and data management experts. Together, Vertical Development and AVM were able to address issues brought up by clients while making sure information was up-to-date, ensuring an easy ordering process all around. What if you want to create a catalog yourself? Vertical Development helped AVM with a Do It Yourself (DIY) solution, too. After five years of DIFM service, AVM had grown its staff enough to bring the catalog system in-house. Vertical Development helped train the new staff on the same tools that were originally used to build the company’s catalog. That means, AVM can now provide the same service to its customers going DIY as it did with DIFM – and with no noticeable transition for the end users. Today, AVM goes beyond catalog publishing by making its information available through the publicly-accessible ShowMeTheParts database. 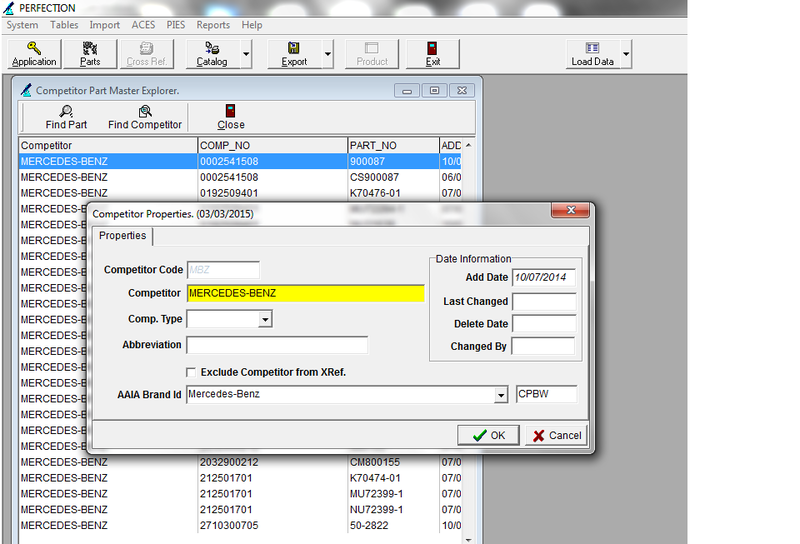 The modular nature of the software made this new feature easy to add on by using already existing catalog information. Now customers can look up parts directly either on AVM’s website or on the ShowMeTheParts website. “Vertical Development has been a very supportive partner and I would recommend them to others that would want to use the services they offer,” shared Rodney Morrison, director of the Aftermarket Products Division for AVM Industries. No matter how big or small your business may be, Vertical Development can help you create a digital catalog system that is easy to manage and adheres to the industry standard formats demanded by your customers. You can use our tools to create your catalog in-house, have us convert your current data for you, or we can manage cataloging entirely with our DIFM services. And just like AVM, if you’re looking to do your own cataloging down the road, then we can get you started with our DIFM services, and help you transition to DIY management when you’re ready. 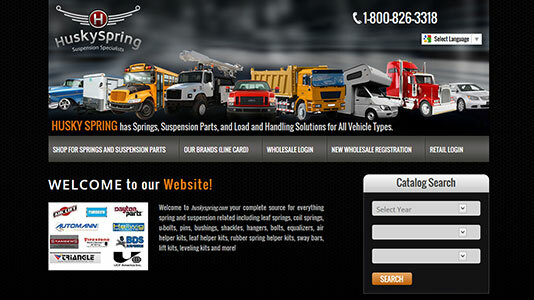 Recently, we shared a story with Aftermarket Business World’s Technology section about how Husky Spring, an aftermarket supplier of springs and suspension parts, used ShowMeTheParts to develop an online catalog and strong e-commerce presence. It’s a fascinating story because like many companies, Husky Spring’s shift toward online access started with customer requests and the drive to fulfill those requests effectively and inexpensively. As we’ve shared in previous articles, the growth of online catalogs and sales in the Aftermarket industry has been tremendous in the last few years. 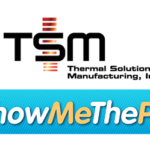 However, many niche suppliers find that the wide-market tech solutions are simply cost prohibitive, which is what makes ShowMeTheParts, along with our partners at Fuse5 and Weblink, a viable option for so many. Read the full story about how we worked with Husky Spring to create a thriving e-commerce presence. The Brand Table is a recent addition to the Auto Care Association’s PIES and ACES catalog standards. This table is designed to make it easy to identify different parts brands by creating a standard coding system, working alongside their Product Classification Database (PCdb) and Product Attribute Database (PAdb) to correctly identify and categorize parts. This ACA Technology Minute video will give you a quick overview of the Brand Table. How does the Brand Table work? Entries in the Brand Table are labeled using a hierarchy that breaks down brands into parent companies, brand owners, brands and sub-brands, with each of these categories getting its own four digit alphabetic code. This helps avoid confusion with brands that use common names like “Professional” or “Performance.” The code for one company’s “Performance” sub-brand will be different from another company’s “Performance” sub-brand. The code is used to specify and organize product brands on the back end, but the brand names will show up on the front end in the search and display. For example, if a product has the auto care market brand code “ABCD EFGH IJKL MNOP,” this will be translated to display its real brand name, which could be something like “BigPartsCo Durommax Bushing Master Performance” when the catalog is published. Of course, on the front end, users are typically more interested in the last two categories. For example, when using ShowMeTheParts’ online database, search users see the Brand Table’s brand and sub-brand labels show up under the supplier and brand categories. Using the previous example, the user would just see “Bushing Master” as the supplier and “Performance” as the brand category. The Brand Table is already built into the standards for PIES and ACES. PIES uses auto care market brand codes to give products unique identifiers. 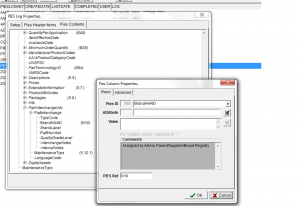 By including the brand table code in catalog entries, problems can be avoided when two separate parts are issued using the same part number. 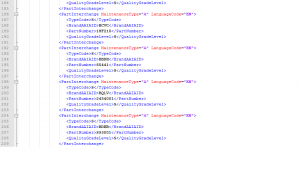 ACES refers to these codes to identify the brands included in an electronic catalog data file. 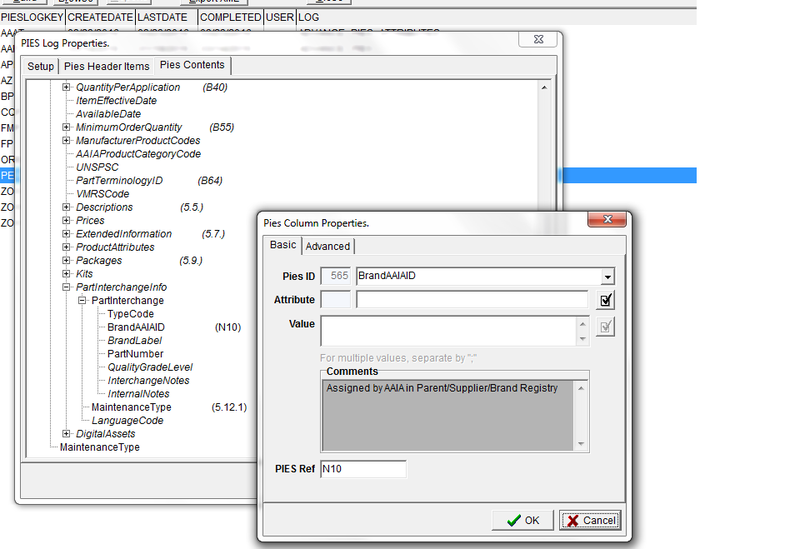 Enter the code in the part entry, and the part branding will show up automatically in the correct fields when the catalog is published. The Auto Care Association has set up a separate website, brandtable.pricedex.com, to manage the Brand Table. From here, new brand identifiers can be requested, current identifiers can be found using a search engine, and the whole Brand Table can be downloaded. How do you add the Brand Table to your catalog? Vertical Development has been working on ACES and PIES catalog software for decades, so it should be no surprise that our tools already support this coding standard. We can help you get your products coded to meet the latest standards, whether you’re just starting to build a standard catalog or need to add new classification standards like PAdb and the Brand Table to your existing catalog. Need to get your products labeled for the Brand Table to meet reseller catalog requirements? We can help your company get up to speed with our tools for a Do It Yourself (DIY) solution, or help you with the process with our Do It For Me (DIFM) services. Of course, like all of our products, everything is integrated, so that any changes you make to your ACES or PIES catalog can be transferred to the ShowMeTheParts public database and ShowMeTheParts-based private databases as well. Ready to get started on your catalog? Call us at (847) 609-9540 or email sales@verticaldev.com.